One constant of popular culture is its value of celebrities and public figures. Some icons transcend divides and appeal to all kinds of individuals for various reasons. They are leaders in their own ways, using their celebrity platforms to make a difference. Regardless of any religious or nonreligious stance, their actions and insights can highlight for us particular universally spiritual concepts. This series of pocket-size books taps into that cultural value of celebrity and presents, in a balanced and secular fashion, words of wisdom such celebrities have spoken. Series editor Nicholas Nigro weaves together insightful quotes and gathers them by theme (Creativity, Passion, Intention), offering texts from which readers can extrapolate their own meanings and, in turn, find added inspiration to live their best day-to-day lives. 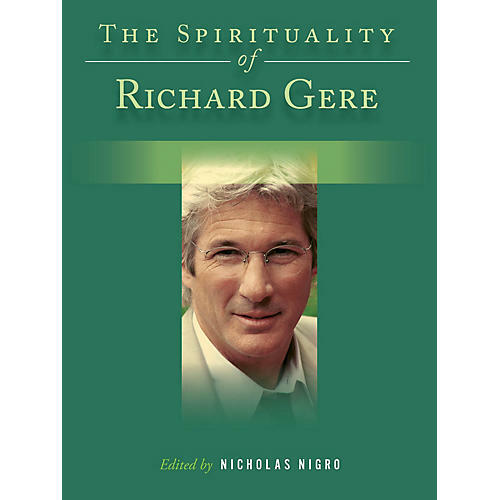 The Spirituality of Richard Gere is a collection of the actor-humanitarian's insightful reflections and elevating words on so much of what he has witnessed and experienced along life's diverse highways and byways. Gere's abiding message will encourage readers to think more and, hopefully, inspire them to do more on both a personal level and grander scale as well. We expand our minds, Gere says, and we expand our hearts.